Even though plants need only a few things to grow – water, air, light and minerals – maintaining the right proportions can make gardening feel like a high-maintenance hobby. 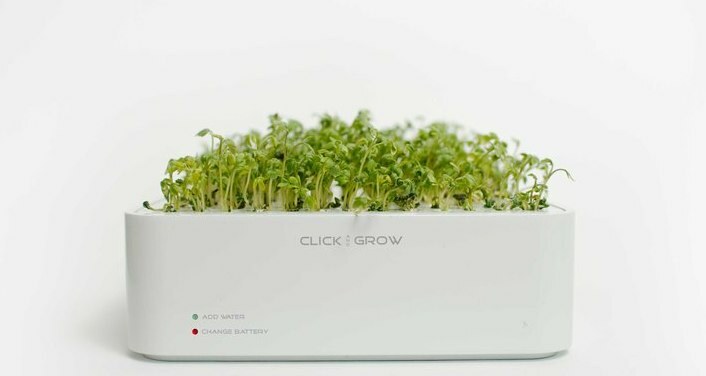 Estonian company Click & Grow creates soilless, electronic flowerpots that do the work for you, providing the correct water and nutrient balance for indoor plants. For some, this may seem like a superfluous product since many varieties of houseplants don’t require an excessive amount of care. But for those with a history of killing their flowery friends, or those whose travel schedules don’t permit regular waterings, Click & Grow could be a helpful solution. 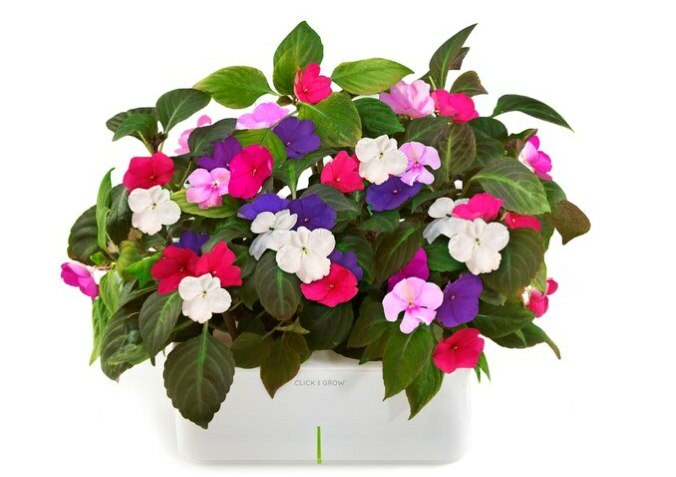 Each flower pot is wired with sensors, a processor and software that checks on the plant and provides it with fertilizer and water as needed. Each pot uses a combination of hydroponics and aeroponics, and still requires an occasional refilling of the water reservoir, about once a month. 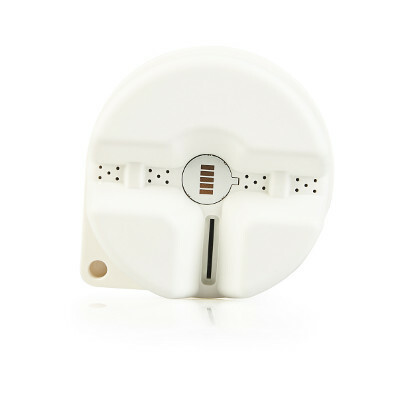 A light on the flowerpot illuminates when the reservoir requires refilling, and the pot uses a pump to nourish the roots over time. While the pot takes care of water and fertilization, it’s up to the owner to find suitable lighting. The company recommends indirect sunlight. The 59 euro (just over $80) starter kit contains a pot, four AA batteries and a plant cartridge embedded with flower seeds. Batteries last about eight months, and when the first plant completes its growth cycle, you can swap in another cartridge for just under 7 euro ($9). Each cartridge sprouts about two weeks after activation and contains software that helps optimize the system for each species. Current options include several flowers, a basil mix, tomatoes and chili peppers.